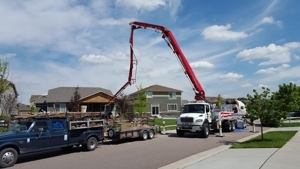 Patriot Concrete Pumping is a full service concrete pumping company, we provide concrete placing service for both residential and commercial customers. Our company proudly services Denver, Colorado and the front range metropolitan area. We tailor our services to our clients' needs while ensuring that our work lives up to their expectations. Simply put, when you need concrete pumped, we're the perfect choice. Our full-service concrete pumping company is passionate about our customers. Expect us to show up when we're scheduled and to complete our work according to your standards, ensuring the safe and efficient placement of your concrete on every job. We look forward to working with you. Ensure that your next concrete job goes smoothly. 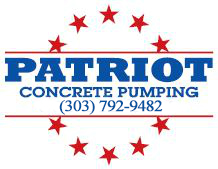 At Patriot Concrete Pumping, we're proud to say that we have the knowledge and expertise necessary to deliver superb concrete placement services. Our fleet includes pumps from 32 to 47 meters, including a five section double Z 32 meter boom to reach hard to access areas. Patriots founder, Pat Phares, started our locally owned and operated business in 2000. Since that time, we have provided personal attention to all of our customers, while maintaining our commitment to timely service. Whether you're a home owner or a concrete contractor, we'll ensure that we complete your concrete placement in an efficient and professional manner.